Wayne Rooney admits that Manchester United should continue to struggle in the rest of the season to ensure they reached the last four at the end of the season. Currently, Manchester United is still 'knocked out' of the big four. With the achievement of 41 points, the Red Devils six points behind Manchester City who became resident’s fourth position, a.k.a the last position to qualify for the Champions League next season. Although quite far away, but Rooney would not give up. The Red Devils captain insists that they have to keep fighting for the Champions League, which is a competition that is desired of all great teams. 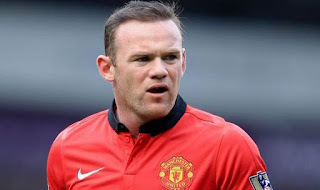 Rooney said that his team will continue to struggle in the league, keep trying. But the main goal is to be achieved is the fourth place. And then the European League is also the target. It would be great if the team can win because this is not where the team hopes early in the season. Meanwhile, Juan Mata asks Manchester United to focus on efforts to win the FA Cup and the European League this season. Manchester United had just beaten Sunderland in the Premier League last week and this makes them more difficult to qualify for the Champions League next season, but were able to come out as the best in the event the Europe League this season. Mata then wrote on his blog, he said that he understands that this is not the best situation for his team. Yet this is what happened and his team has to keep going so that his team has a chance to win this trophy, which will give the team two positive rewards. Moreover, Mata explained that his personal experience says that if his team worked hard with great enthusiasm, it will make the season end well, as he went through three seasons ago in Chelsea. United will play against Midtjylland in the event the Europa League this weekend. While Michael Carrick is no longer bear to see how long fasting experienced FA Cup trophy by Manchester United. The midfielder was undergoing its 10th year at the club, and he still has never won the trophy of the oldest competition in the UK and also the Europa League. Interestingly, two of the trophies are the only one that can be won by Louis van Gaal's side in this season. Carrick told the Daily Mail that it was bothering him. He missed how his team had a chance to win in the inaugural season, in which his team lost to Chelsea in the final, through extra time. Carrick added that it is very disappointing. His team has a lot of good opportunities to be able to make it up over the last few years, but his team could not do it. That's the FA Cup. It's been too long for this club, after winning so often, and his team must immediately rectify this.